A timeline to the greatest sport on Earth and all of the greatest moments in human running history. Not excited to read or fully engaged yet??? Check out this quote below and tell me it doesn’t get you psyched to read about some running history!!! ~490 BC - Pheidippides, a Greek soldier and messenger runs nonstop from the town of Marathon to the great city of Athens to announce the victory of the Grecian army over the invading Persians. The legend goes that he died upon arrival only able to mutter the words “Rejoice, we conquer!” The distance covered during his great run was 25 miles. 1908 - The Summer Olympic Games hosted in London continue the tradition of the great 25 mile marathon race. However, at the behest of the Queen, so that she may view the start of the race from her palace, the course is altered and lengthened to a total of 26.2 miles. 1920s - World distance running is dominated by the “Flying Finns,” lead by Paavo Nurmi. Finnish distance runners would set more than 20 world records at a variety of distances in this time and claim numerous Olympic medals in 1920, 1924, and 1928. 1936 - Berlin, Germany hosts the Summer Olympics in what is nicknamed “Hitler’s Olympics.” In an attempt to promote the athletic supremacy of Aryan athletes, the Olympics are funded and promoted on an epic scale. In a direct counter to the racial theories of the competition’s host, African-American athletes win eight gold, three silver, and two bronze medals led by the four golds of Jesse Owens. 1952 - A Czechoslovakian soldier named Emil Zatopek, known for training in combat boots during the harsh winters, wins the Gold Medals at the Olympic Games at the 5,000m, 10,000m, and marathon distances. Up to that point Zatopek had never run a marathon and that feat has not been repeated since. May 6th, 1954 - Roger Bannister, a British Medical student and middle distance runner, becomes the first human being to ever break 4 minutes in the mile running 3:59.4 at the Iffley Road Track at Oxford University. A feat that until that point was thought to be impossible. Bannister trained between along between medical shifts and classes. 1960 - Women are finally allowed to compete in running events at the Olympic Games. While previously banned due to “health concerns” based on frailty, female athletes are able to race at five different distances…men race at 12. 1964 - Jim Ryun, running for Wichita East High School, becomes the first ever high schooler to break 4 minutes in the mile. In 1965 while still in high school he would run 3:55.3, a record that stood for 36 years. 1967 - Karissa Switzer challenges the USA-wide ban on women entering road races via the AAU (Amateur Athletics Union) by entering the Boston Marathon under the name K.V. Switzer. When marathon race director, Jock Semple, attempts to pull her off the course, Switzer’s boyfriend blocks him and she continues on to finish in 4:20. 1968 - Kip Keino, a Kenyan distance runner, breaks on to the Olympic scene by defeating Jim Ryun (world record holder) for Gold in the 1500m race by 20 meters. This marks what would be the beginning of the East African Running Revolution. 1970s - Jogging begins to be popularized among the American public. An activity previously thought to be just for professionals, running begins to gain popularity as a form of general exercise. 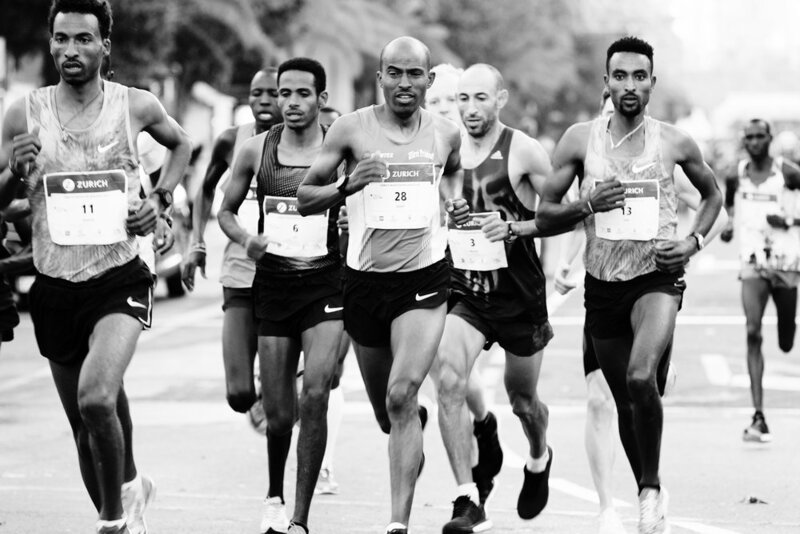 Inspired in part by Frank Shorter’s televised victory in the 1972 Olympic Marathon, road races, public jogging clubs, and shoe/apparel manufacturers specific to running begin to flourish. 1970 - Steve Prefontaine becomes a cultural phenomenon with his bravado and win-from-the-front race tactics as he dominates American distance running while at the University of Oregon. “Pre” would go on to compete in the 1972 Olympics at 5,000 meters in what is considered one of the greatest races of the modern era. He became particularly noted for his public dissent against the AAU. In 1975 Steve Prefontaine tragically dies in a car crash at the age of 24. 1978 - Amateur Sports Act is signed in to law by the United States Congress. 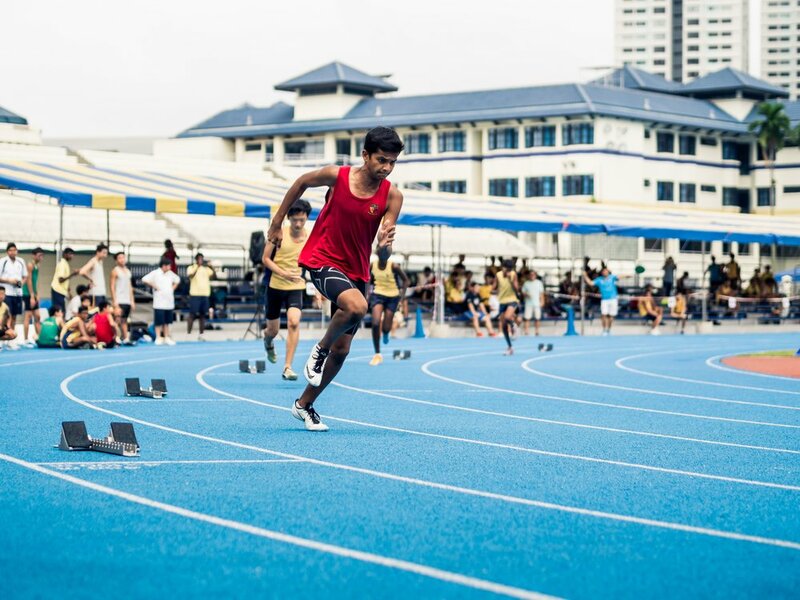 While creating many important legal standards for athletics, the law effectively ends to reign of the AAU and most notably allows for “amateur” athletes to compete in the Olympic Games upon qualification without sacrificing collegiate eligibility. 1979 - Grete Waltz gets her second in what would be her streak of 8 consecutive NYC Marathon victories with a time of 2:27, becoming the first woman ever to run under 2:30 and thoroughly silencing any critics of a woman’s place in the marathon race. 1984 - The Olympic Games, after years of lobbying by groups throughout the world, allows women to compete at the marathon distance. Already the greatest active female distance runner in the world, Joan Benoit Samuelson, wins the Gold medal and solidifies her place among the all-time great runners. 2003 - Paula Radcliffe, U.K., breaks her own marathon world record by almost 2 minutes by running 2:15.25 at the London Marathon. The mark remains a world record and one of the most impressive individual performances in history. No one has come within 1:30 minutes of it since. 2018 - Eliud Kipchoge, in what almost seemed inevitable, breaks the world record in the men’s marathon at the Berlin Marathon. Running 2:01:39, Kipchoge is on his way to becoming the first human to ever run faster than 2 hours for 26.2 miles, once again, a feat thought to be impossible!